This year’s celebration of National Adoption Month focuses on older youth in foster care who are awaiting adoption. Unfortunately, older youth are less likely to be adopted and too often age out of the foster care system without ever finding a permanent family. According to the Administration for Children and Families, in FY 2014, 22,392 of the 107,918 youth waiting to be adopted were emancipated from foster care. That means nearly 1 out of every 4 youth awaiting adoption lost access to much needed education and financial support systems because they reached a certain age, usually 18-21 depending on the state. There is no age limit for needing a family. At this age range, youth often gain key life skills as they begin their professional journey and make critical life decisions such as going to college. Older youth who age out of the foster care system are more likely than their peers to become homeless, unemployed, dependent on public assistance and to interact with the criminal justice system. Many of the older youth awaiting adoption are traumatized prior to entering the foster care system and like all youth, they deserve a chance at a brighter future. Compare those findings with research on the positive impact of adoption on the outcomes for older youth in foster care. Older youth who are adopted are more likely to complete high school, go to college and be more emotionally secure than their peers who remain in care. The benefits of having a permanent family, including vital emotional, financial and social support during adolescence and young adulthood, are clear. Studies also indicate that LGBTQ prospective parents are more likely to adopt older youth. That is one of the many reasons HRC Foundation’s All Children – All Families project works to increase the capacity of child welfare agencies across the country to recruit more LGBTQ clients. LGBTQ parents have shown that they understand the challenges and trauma many of these older youth have faced and are capable of offering the critical support older youth in foster care need to realize their potential. This month, HRC is proud to celebrate National Adoption Month and lift up the experiences and stories of older youth in foster care waiting for adoption. 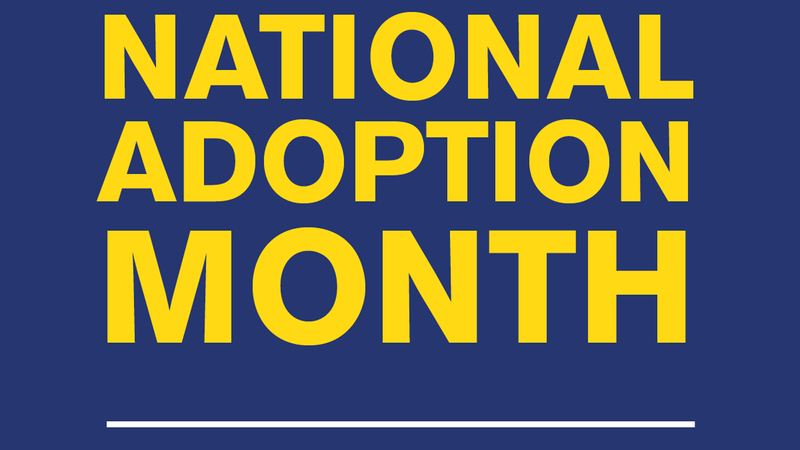 Learn more about National Adoption Month here.